Best ideas often come unexpected. And that is what happened in late 2012 to HRNS do Brasil Technical Director, Max Ochoa, during a meeting with the exporter Stockler Comercial e Exportadora Ltda. “We discussed about challenges of family farmers access to the market and the need to improve the link of farmer organization into to the commercial chain”, Max remembers. Stockler offered offered its commercial knowledge and marketing gateway to trade coffees that are produced by farmers assisted by HRNS do Brasil. That was the starting point for the idea to organize a Specialty Coffee Championship to incentive coffee quality improvement. At that time Stockler and it was the starting point that brought the idea to organize together a specialty coffee competititon promoting the best coffees of these farmers and to connect them to the export market. The Força Café Coffee Championship has become an international event that is recognised by coffee importers and roasters from all over the world. Companies from Canada, USA, Italy, Germany, Turkey, Switzerland, Sweden, and Russia attended the competition in previous editions. 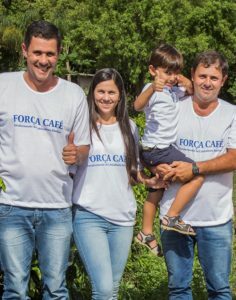 Linking family farmers to the coffee export market is an important element of the HRNS do Brazil program “Força Café”. And that is also the basic idea of the Força Café Coffee Championship. Since 2014 under advisory and support of Stockler the Força Café Coffee Championship is organized in Lavras. The 5th Edition takes place October 21 – 27, 2018. Even after the competition, Stockler plays an important role in the promotion of the best coffees. “Stockler is not only helping to organize the competition, inviting clients and promoting the coffees worldwide but also preparing the coffees accordingly to clients’ qualities standard and shipping it to roaster´s doors”, elaborates Alexandre Ferraz from Stockler. 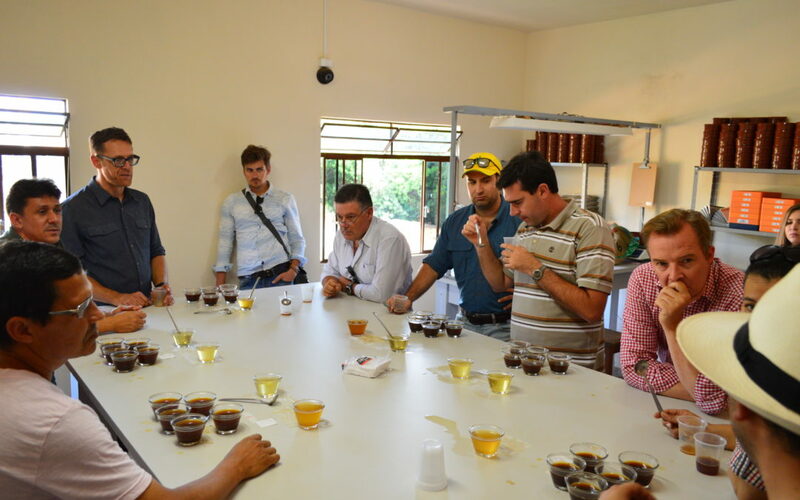 The clients interested organize cupping sessions with their clients, being a way to promote the coffee produced by family farmers in Minas Gerais around the world. The last phase of the competition is an electronic auction of the the top 12 natural coffees and 12 best washed coffees. Farmers receive the entire prime for their coffee. In 2017 winning lots could market their coffee up to 80% above the common market prices. In the fields most of this additional income has been reinvested into the farm to improve the infrastructure for coffee processing. A further improvement of the Brazilian family farm specialty coffees. A coffee plant in a Hamburg office building: Our team member Hermann Kouassi from Ivory Coast is well surprised; “It is very good to see it growing even here. But we have better cherries”, he smiles.